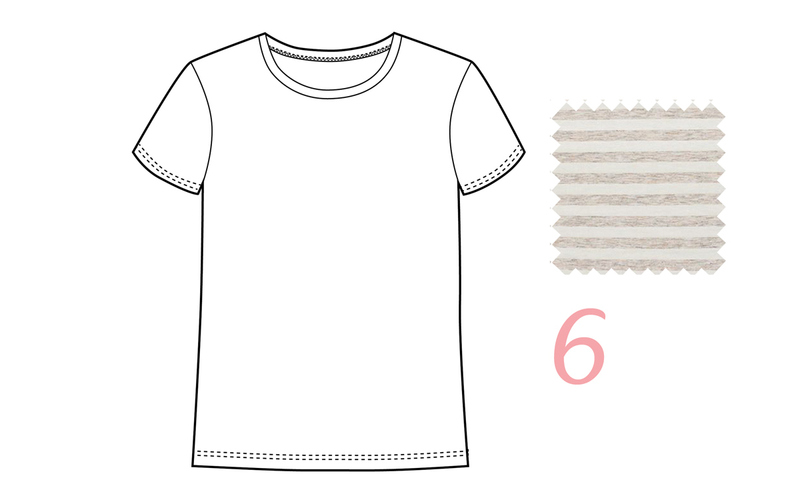 Just for the fun of it, I thought I might put together a summer wardrobe edit to show you what I might choose if I was sewing a new summer wardrobe for S. I chose eight styles I’d sew and the fabrics I would use for each style. I focused mostly on Leslie Shrewing’s A Creative Mint Palos Verde Voile collection for Cloud 9 fabrics and added some solids, small patterns, and almost-solids for good measure. 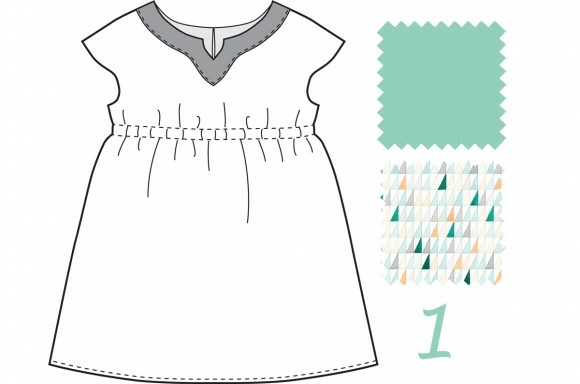 You’ve seen the Palos Verde collection before: we used it for our new Lullaby Layette pattern cover. They’re such pretty fabrics! S has been wearing a lot of separates lately, so instead of choosing dress patterns for her this year, I focused mostly on pieces that she can mix and match. She’ll be away from home for all of July and August, so these separates will also give her lots of outfit options without overfilling her small suitcase. I didn’t pick any of our newest patterns, mostly because she already has and wears them. But you could easily substitute any of the dresses for our newest styles, too. Roller Skate Dress in triangle voile and seafoam voile trim. The Roller Skate Dress has been a really popular style since we released it, and its versatility makes it a great summer choice. Plus, voile will be light and airy for those really hot and sticky days. Badminton Skort in seafoam dots. This skort can be worn almost anywhere, and sewn in this pin dot it will coordinate with all the other pieces I’ve selected. S likes to wear shorts under her skirts, and with these built-in shorts I know she’ll be happy. Class Picnic Shorts in gray gingham or peach dots. The small patterns make this a really versatile item, too. I love the gray and white gingham because it complements a floral and keeps the outfit from becoming too sweet. But if she wants a more feminine short the pink pin dot would be a sweet option. 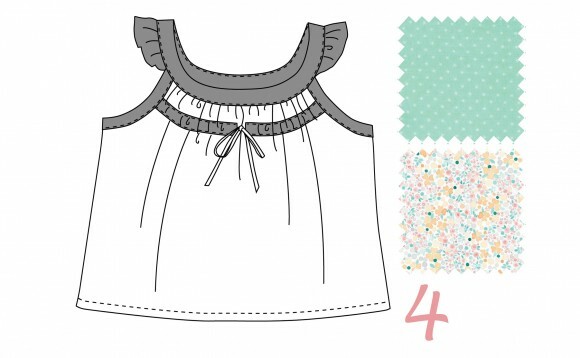 Badminton Top in seafoam dots and floral voile. The little floral just suits this style, and I’d trim it with the seafoam pin dot so it could be worn with the skort for a really coordinated outfit but could also work well with the other separates. Lazy Days Skirt in orange tattersall. 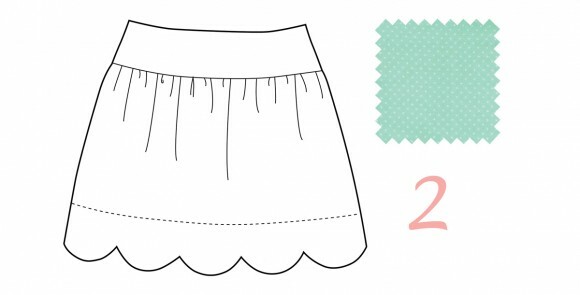 I like the graphic pattern for a feminine style like this easy skirt. And the pattern can be worn with the floral tops I’ve selected without being too matchy or feeling like too many patterns competing with each other. School Bus T-Shirt in jersey stripe. An un-solid solid. This stripe will go with everything. 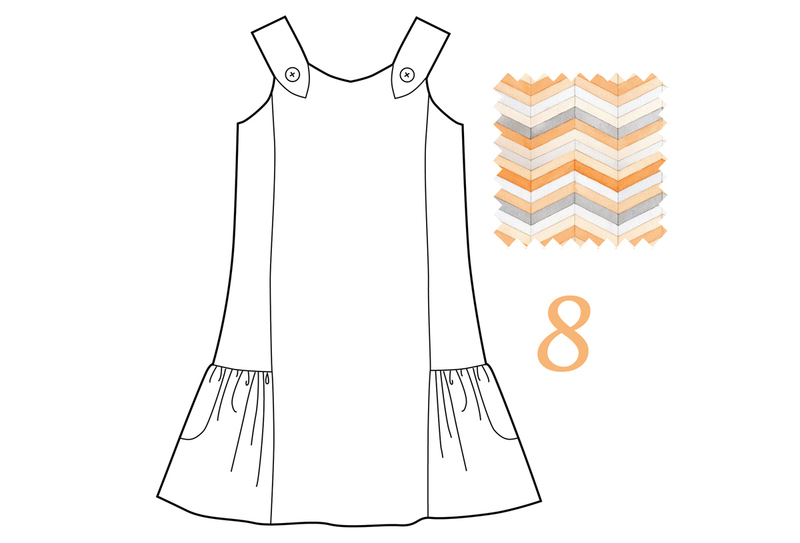 I might add a peplum skirt to the T-shirt just for the fun of it, too. Class Picnic Blouse in abstract voile. I love this print, and it’s perfect for the soft-floaty style of the top. Seashore Sundress in orange and gray chevron. A lightweight summer sundress in a light and breezy fabric. I know she’ll wear this all summer long, and it’s just as suitable for the beach as for going out to dinner. 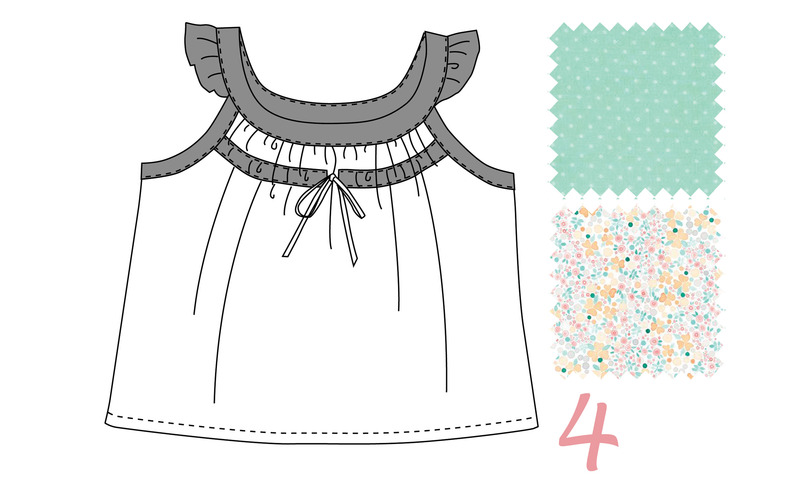 Want to see more fabrics that didn’t make the cut but would be equally pretty in this wardrobe edit? I put together a Pinterest board with all sorts of ideas for you. What would you choose if you were putting together a wardrobe edit? I think we should make this a regular feature on the blog, don’t you? This would be a great regular feature! It’s so helpful to see how other people plan out sewing for a season. I did smthg similar at the end of last summer when sewing up some school uniforms and blouses for my daughter. Helped to keep me focused! Well, color me duh. Using the coordinating fabrics from a line to do a wardrobe? Brilliant. Of course, the clothing manufacturers do this. Why shouldn’t I? I have been adoring this fabric line for a while but just couldn’t come up w/ practical ways to use it. Thank you for the wonderful ideas and coordinating fabrics! Great idea for a regular blog post. Love this post! Gives so many ideas and makes me want to get more patterns that I don’t already have. 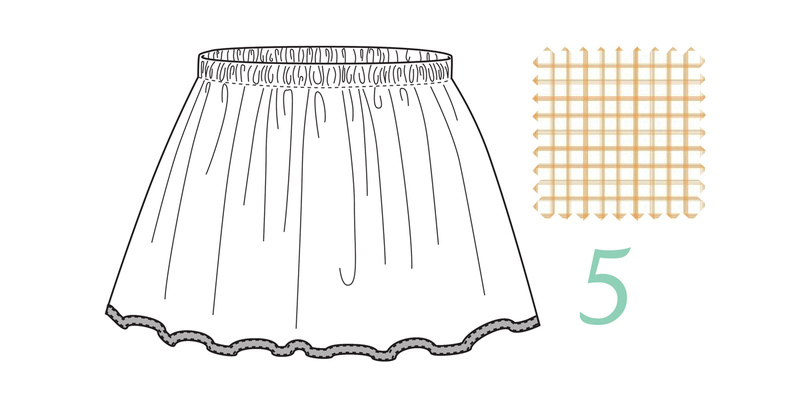 My plan so far is to make a thousand Sunny Day shorts and a thousand CLass Picnic blouses. Shorts in solids/neutrals, blouses in various Liberty prints. Everything works with everything else, provides more coverage than a sleeveless top, and everything is airy and light for our hot, dry summer. So far so good! I love love this fabric line. Looks like it would really compliment some of your patterns! I dream of doing my daughter’s seasonal wardrobe this way … one day. One day. I hope you get a chance to sew it/have it made. I like the idea of this being a regular seasonal post, too. Please consider it. Thanks. 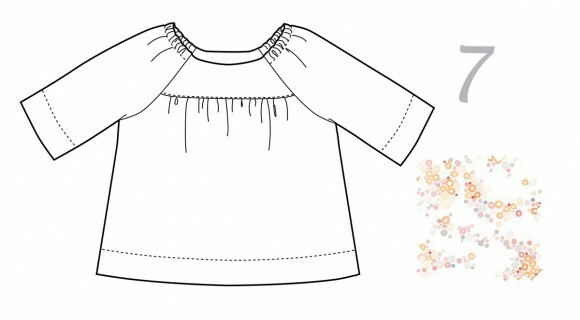 I would love to see wardrobe ideas, especially for children in the upper range of pattern sizes. What is adorable on toddlers doesn’t always work for more sophisticated 10 year olds, so I’d love to see more pictures and ideas for older children. I am making these–I hope that’s okay! Such a lovely collection of patterns and fabrics, my daughters will be so very stylish wearing them 🙂 I had always dreamed of sewing a wardrobe, and these beautiful posts have just provided a timely nudge in that direction. Thank you!